AboutSouthern California Monte Jade Science and Technology Association (SCMJ)SCMJ is one of the 14 chapters worldwide under Monte Jade. SCMJ’s membership consists of entrepreneurs, venture capitalists and professionals from the Southern California area in the United States. Our activities include regularly held forums and conferences, scholarship program, mentorship program and job fairs. The main objectives of SCMJ are to expand the learning experience about current high-tech developments worldwide and to provide opportunities to meet with top management executives of high-tech companies and top government policy makers in the global high-tech industry. The first Monte Jade Science and Technology Association was founded in February 1990 in Silicon Valley. The organization, subsequently known as Monte Jade West Coast, became the model for other regional organizations bearing the name "Monte Jade," including East Coast formed in the Metropolitan New York Area on March 30, 1991; Mid-America formed in Chicago on April 6, 1991; Greater Washington Area formed in Washington D.C. on November 23, 1991; New England formed on May 22, 1992; Greater Pittsburgh formed on November 21, 1992; Southeastern U.S. formed in Atlanta on January 16, 1993; and Greater Philadelphia formed on October 24, 1993. "Mount Jade" is the highest mountain on Taiwan, its peak covered in glistening snow year round. The Profile of Monte Jade towering over neighboring peaks has long been viewed by the residents on the subtropical island as a spiritual inspiration for their pursuit of brilliance, continuity, and integrity. The founders of the Monte Jade Associations aspire to achieve the same ideals. On February 21, 1993, representatives of the Monte Jade Associations gathered in Silicon Valley and formally forged the union of their organizations. The union was named "Monte Jade Science and Technology Association." 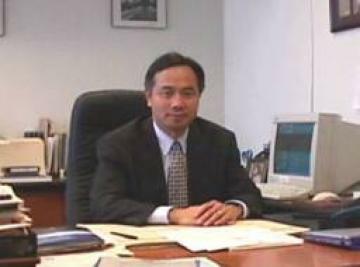 Dr. Owen Wu and several other founding board members established the SouthernCalifornia Monte Jade Science and Technology Association on Feb. 23, 2002. Mission Statement of SCMJTo network the Southern California professionals in establishing a common forum for businesses which are based on advanced science and technology; to serve as a channel of business information to the growing Asia Pacific and emerging marketplaces; and to promote entrepreneurship among our members. To provide and exchange current industry trends and business information among our members. To provide a network and platform for cross-border, multi-party flows of commercial technologies and capital information. To update our members with timely reports on investment and management issues of common interest. To organize events and activities to facilitate interactions among members and corporate management executive.